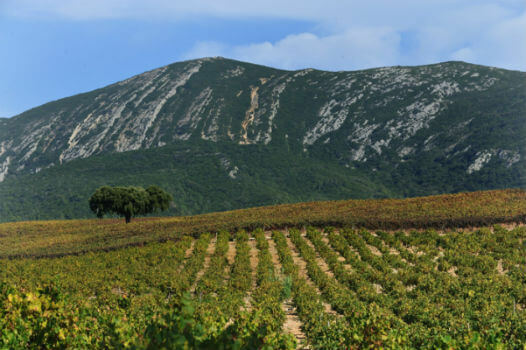 It’s in the Península de Setúbal that lies one of the oldest registered Portugal’s Designations of Origin (DOC) – the Moscatel de Setúbal region, whose demarcation was started in 1907 and was confirmed and completed in 1908. It is geographically bounded by the municipalities of Setúbal, Palmela, Montijo and the parish of Castelo, which belongs to the municipality of Sesimbra. The Moscatel de Setúbal is made from the grape that gives it the name, it’s part of the fantastic four’s Portuguese fortified wines, along with the Port wine, the Madeira wine and the Carcavelos wine. 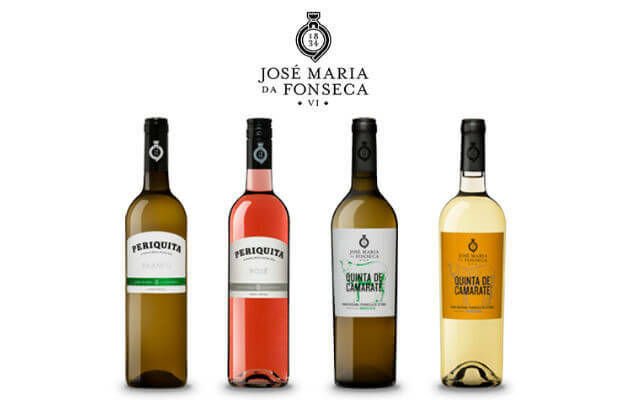 Its charms get lost in time and the role of the company José Maria da Fonseca is crucial since it is an active producer since 1834, with a unique heritage in the world of Muscat wines. Appreciated by kings and the people, this authentic treasure is, according Léon Douarche, “The Sun in the bottle.”. In the time of King Dinis I of Portugal (1261-1325) the Moscatel de Setúbal had fame already, being exported in large quantities to England or France where Louis XIV did not dispense it at the parties he threw at Versailles. Finished the proper introductions, the house José Maria da Fonseca decided to release a limited edition box containing four dated wines, which in total add up to 100 years of Moscatel. A real temptation for all wine lovers who, this way, can taste and compare four wines of excellent quality and of so rare production. 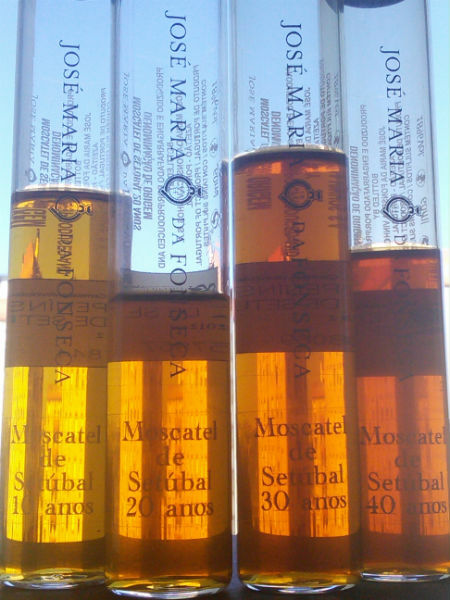 The Moscatel de Setúbal are placed on the market from 2 years of age, they may hold on its label the vintage year or the indications of “10 years old”, “20 years old”, “30 years old” or “more than 40 years old”, provided that the wine in question, or any batch of the blend that composes it, has at least the stated age. There is also the Superior designation which, not being this case, is only given to wines with a minimum of five years of age that have obtained the outstanding quality rating from the Tasters Chamber. In this case, what we have in the glass are four exemplars: 10 Years, 20 Years, 30 Years and Over 40 Years old. Moscatel de Setúbal 10 Years: Endowed with a great freshness, a lot of fruit with candied orange standing out, light jam, flowers, dried fig with some dried fruits (nuts) already beginning to show. Ample and at the same time very well balanced, engaging with a beautiful complexity. Great balance between youth notes and the stuff that shows it is already a wine with more age. Moscatel 20 Years: The jump in quality and also in the palette of aromas and flavors is remarkable. The whole bouquet is endowed with a beautiful intensity that makes it perfume the table and even the room, the orange notes show up more evolved pending to jam, with a treacle touch, a slight of vinagrinho that spikes it up and the greasiness of the dried fruit. The background we can feel the aroma of the centenarians hooves. In the mouth it’s a delight, intense, broad, conquers the palate by the razor-sharp freshness and its impressive way of being, a fantastic wine. Moscatel 30 Years: A profile of great complexity that shows itself deep and at the same time intense and captivating. It becomes complicated not having the nose in the glass. 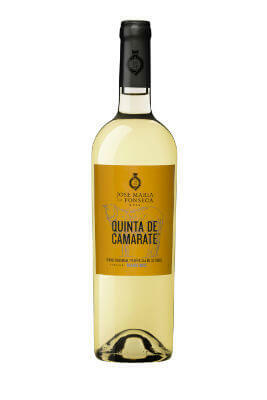 Many confited citrus fruit notes (orange), caramel, nuts, slight vinagrinho, tobacco leaf, fig raisins. Breathtaking mouth but again endowed with a remarkable balance of power where the acidity seems to be dancing with the sweetness. 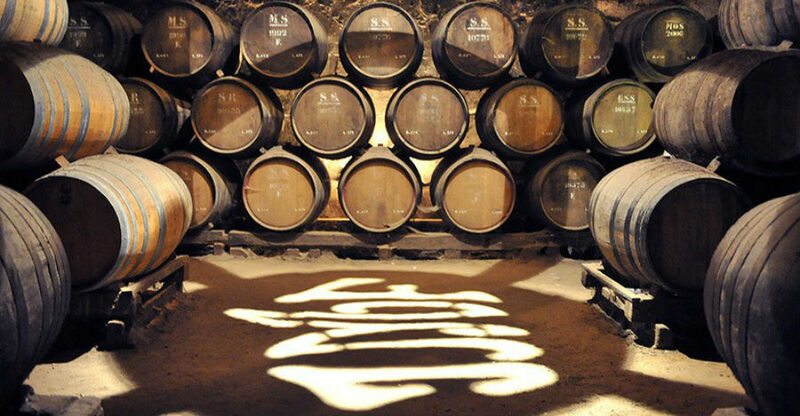 Moscatel 40 Years: It is the apogee of this tasting and a treat for the senses. A compendium wine, such is the undusted way with what it shows itself. If have you ever heard of what would a very old Moscatel be like, here is the example. The welcoming is given by the vinagrinho touch, just enough to spike the nose, then the expected unctuousness with aromas of honey and dried figs, candied orange with raisins (figs, dates) and a lot of freshness wrapping the whole. In the mouth, again the freshness, the old wood where it aged, spices, tobacco leaf, dried fruit and jelly, concentrated but not doughy at all and endowed with tremendous energy and harmony set. Unforgettable. 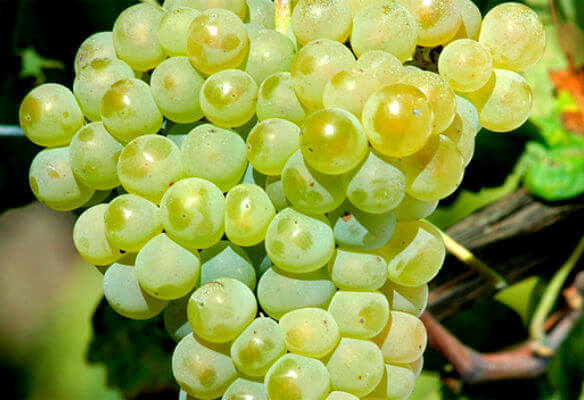 The Moscatel Roxo de Setúbal grape variety is a rare grape that was in extinction risk in the last century. The difference to its white homonymous, Moscatel de Setúbal, starts in its purple hue but also in the refined differences of the aroma and palate, which originate exclusive and fine cut wines. And when we talk about its saving from extinction comes into play the oldest producer of Moscatel de Setúbal, José Maria da Fonseca. It was by the hands of Fernando Soares Franco (5th generation of the family) that the last hectare of Moscatel Roxo in the region was saved. 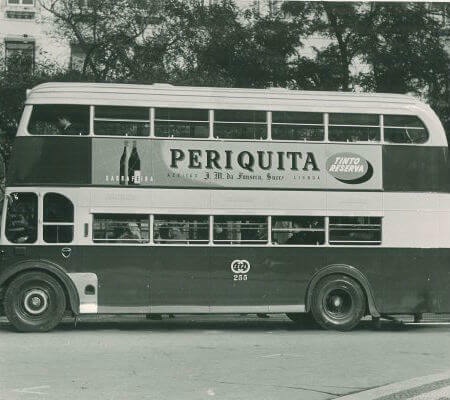 Back then it was located in Quinta de Camarate. 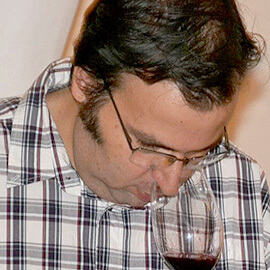 Nowadays the grape variety spreads over about 40 ha in all the region, 10 of which belong to José Maria da Fonseca. This grape variety now shows its versatility in the hands of the experienced winemaking team, and the consumer can taste fortified wines, rosé and sparkling wines. 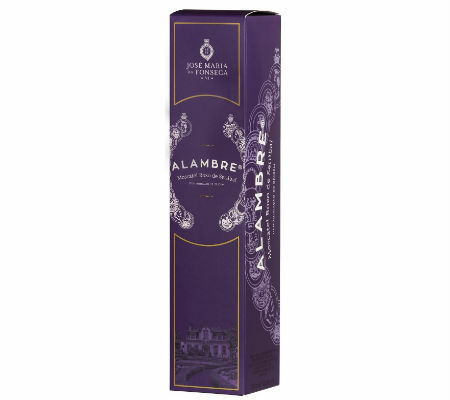 The last novelty to be launched was this Alambre Moscatel Roxo 2010, an entry range Moscatel Roxo, which is accessible to a broader audience since the fortified wines from this house are generally more expensive than the others. So they decided to present a younger and modern Moscatel Roxo, fresh, direct and without all the complexity and density that, for example, a Roxo 20 years shows us. It’s a wine with the quality that this producer has already used us to but that at the same time can be enjoyed in a relaxing way at end of the afternoon in a balcony with our friends. This more direct approach is welcomed because not everything in life has to be faced in a suit and tie, with a formal tone just because the wine they pour into our glass so demands. Here and in this case with the Alambre Roxo 2010 we experience a festive mood, because the way that the set unfolds invites to that, it’s fresh, appealing, merges sweetness/acidity/concentration in such a way that becomes an immediate success at the table. I’m old! It’s true! No matter how much I call a guy “dude”, the truth is I’m the same as my dad, who died when he was 90 years old, and referred to his friends as “young men my age”. This statement of mine about being old isn’t even related to age, but to a country that is no longer. Not because it was a teenager, but because it was something else. In Portugal, people rarely wore branded clothes until 1986… Adidas trainers? We used to say: “They must be… Adidas from the chemists.” The anti-mainstream records came from Great Britain, either in the post or if a friend were visiting there. Pop stars were on the cover of Bravo, a magazine in German that hardly anybody could read. Who was Nena?! Two or three years later we learned who she was when her hit, Ninety Nine Red Balloons, finally made it here. We would go to Spain to buy trainers, toffee, and Alicante nougat. Spain smelled like the horrible Ducados cigarettes, and the coffee was undrinkable. The Spanish used to visit Portugal for Easter to eat codfish, seafood in Alentejo – even if it had travelled over 90 miles from the Atlantic – and to buy towels and bedspreads. 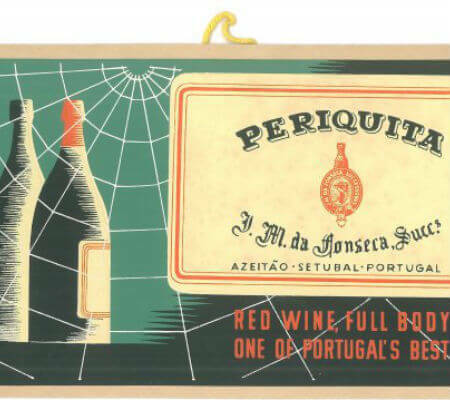 In that 70s black-and-white Portugal, or in the following decade’s faint-coloured version, wine had no brand. In Lisbon, they had taverns with casks full of lees… wine from the “small town”, and “purinho do produtor” [pure and straight from the producer]… Brands? One or two; except for Vinho do Porto and Vinho da Madeira. In 2014, there were 2067 wine growers and 4212 wine growers and producers. In Portugal, as in other EU countries, there was a lot of urbanisation, and the primary sector lost weight in the country’s Economy. Thirty years ago, there were many more wine producers, but much fewer growers and producers. Cooperatives had an important role in the industry. I decided to write this text about two or three brands. However, I noticed that those “two or three” were, in fact, much more than that. And still… The number is, after all, irrelevant. The business and the consumption of wine have changed a lot in the last 30, or 25, and even in the last 20 years. I am happy with the resistant ones and with the “reborn” ones. I thought they wouldn’t outnumber my fingers… I realised I needed three other people’s fingers to count them all, or perhaps even more. Alentejo was known for the wheat fields and for the forests of cork oak and holm oak. 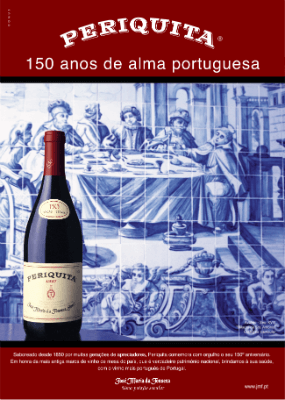 In Douro, they made Port – period. Douro and Bairrada were very important. 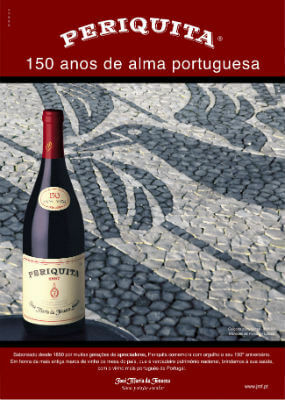 However, Portugal has old brands, which in some cases may even compare to the most famous French wines. 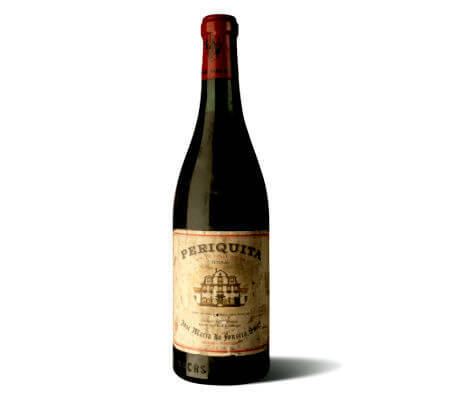 The most obvious case is Periquita, produced in the Península de Setúbal region. 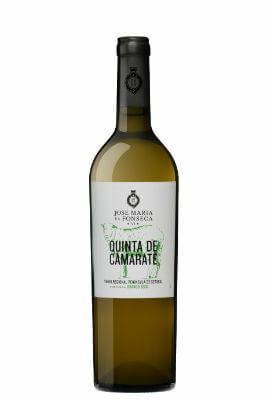 The recipe has been changing, but it was basically made of Castelão grapes – such a big success that it spread all around, turning the brand into a synonym of the grape variety. It’s now a trademark after the legal battle won by the José Maria da Fonseca company. 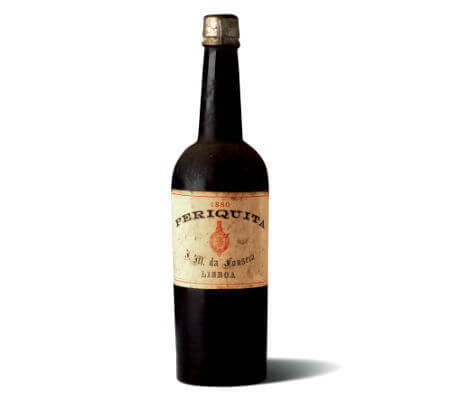 When I say Periquita, I’m talking about 1880, although it is known that a bottle from the previous decade has been traded, and rumour has it, an 1850 bottle too. In 1886, it earned an international award. Lilliput! Thousands, millions of Portuguese people making their own wine. Just a few brands. 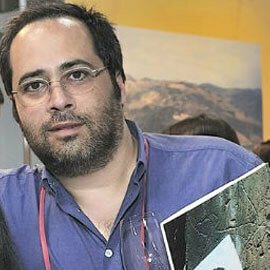 Two companies stood out: João Camillo Alves and Abel Pereira da Fonseca, colossal at the time. The difference was such that an anecdote of questionable taste emerged: “In his deathbed, Mr. Fonseca might have said to his descendants that even from grapes you could make wine”. It’s a (silly) joke, because Abel Pereira da Fonseca was an honourable man, and was once part of big business, for instance the José Maria da Fonseca company – which was extremely serious – only the founder had that surname. In any case, the anecdote reflects the truth. I will leave that truth for another chronicle. I am so tired of the heat, even though the summer has barely started. The street where I am as I write this is cool… Well, as cool as a fridge in Hell. In my mind – somebody has to stay behind in Lisbon, minding the city while everybody is out and about – I stretched my towel out on the sand and took a few dives in the ocean to cool my head and freeze a few bad thoughts. I’m writing this in the faint light, at twilight. As always, this season and this moment take me to a moment in time I can never return to. I’m listening to GNR (a Portuguese rock band) and as the song says, I remember how, “at 16, one feels so close to 86”. This is factual, not melancholy. Some facts bring discomfort. When I think about when I was 16, I remember several beaches, because the summer holidays were really long. In June, I would visit Sesimbra and I can still retrace the route in my head; “the present” stops my invisible vehicle in Azeitão, on the way. Because it’s summer time. Because that is the place the new 2014 wines I was sent come from. These wines ready to face the heat and enjoy the season. Refreshing and easy to drink. In Colecção Privada Domingos Soares Franco Verdelho 2014, Colecção Privada Domingos Soares Franco Moscatel Roxo (Rosé) 2014, Quinta de Camarate white Seco 2014, Quinta de Camarate white Doce 2014, Periquita white 2014 e Periquita Rosé 2014 – besides BSE, which was previously written about. The presentation took place in By The Wine José Maria da Fonseca, a place that reminds me of a few old “Casas de Pasto” (traditional simple eateries) – something between a tavern and a restaurant. By The wine is on Rua das Flores, parallel to Rua de Alecrim, between Cais do Sodré and Camões Square, very popular with tourists. This place is worth mentioning because they exhibit images that reveal this historical company’s past. The year 2014 is one to remember, at least in Portugal; it was the year Eusébio died – that 60s football hero – and, in the rest of the world, for Scotland being denied its independence from the UK. People in the wine business will remember it as an “oops” year! Everything was going so well until the rain came. However, it was no catastrophe. One positive outlook is the freshness of the wines whose grapes were harvested before the rain. It’s the case of those presented by a company in Azeitão. Everything has its pros and cons. In this case, whatever is usually most frowned upon is subjective. More substantial are the freshness and how accuracy the summer is shot in the heart. Quinta de Camarate Seco white 2014 is a blend of Alvarinho and Verdelho grapes; it’s sensual in the nose and reveals freshness, suggesting food. Good on summer nights. Quinta de Camarate Doce white 2014 does not appeal to me. The problem is precisely the sweetness. 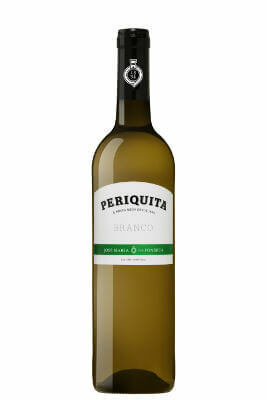 It was made from grapes of the Alvarinho and Loureiro varieties. However, it stands as an alternative to generous whites or vermouths, taken with entrées. The two Periquita may attend the same party. Periquita White 2014 gathers Alvarinho, Viosinho and Viognier, and must be placed on the table along with the summer’s traditionally light foods. 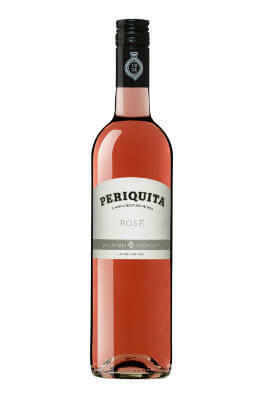 Before that, friends in shorts and flip-flops will have enjoyed some Periquita Rosé 2014. One shouldn’t sleep on the job, and JMF certainly doesn’t. There are no “serious wines” or “pretend wines”. I mean I have to say that the remaining two wines are “more serious”. It’s a case of rhetoric. – Go away, heat! Get out of here! Colecção Privada Domingos Soares Franco Moscatel Roxo 2014 has been frightening the temperatures away, as were its previous editions. Still, I wouldn’t say it’s “my wine”. I have to mention something, though: Colecção Privada Domingos Soares Franco Moscatel Roxo wines have been very revered, whether by critics or the general public. Aside from that, I take my hat off to it, and presume the problem must be me; I don’t believe in sidereal conspiracy… especially against a mere mortal’s palate. Moscatel de Setúbal wines aren’t so popular, unfortunately. Most are consumed in their own region. It’s a shame, really, because they are quite different from the world-famous Port and Madeira. 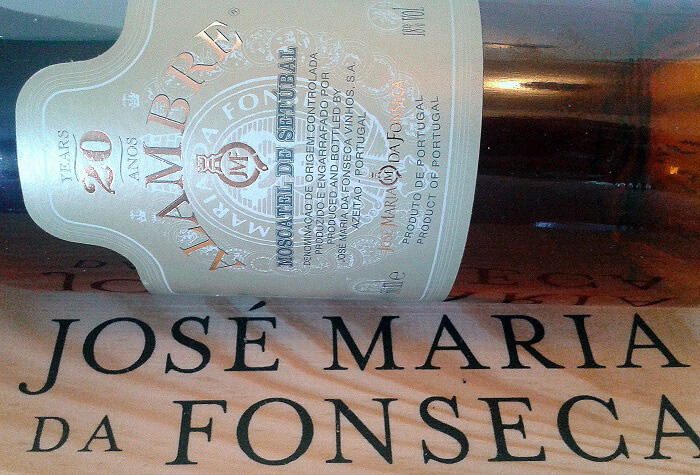 The company, José Maria da Fonseca, introduced Alambre 2010, which aged in used wood. It got the taste right, whether to start with or to finish dessert. The company suggests using it in cocktails; either just with ice, or with ginger ale and a lemon zest, or with sparkling water. I was born and raised in Alentejo; more precisely in Vila Viçosa. It was life’s wish that, at 18, I come to Lisbon to study. At a time when wine did not mean much to me, except to share at the table with friends, we would occasionally open a bottle or two. And now, destiny has brought me back to live on the other side of the wall from one of the main distributors of wine in the Lisbon region. I cannot remember how many times I walked in there; my memory holds only as much as what I learned from the many hours of conversation and the many wines I bought and got to know throughout the years, many of which came straight from producers. Producers cropped up everywhere at the time, like mushrooms. My interest for the wine world kept growing and growing; I completed every necessary training programme and, thus, was more able to observe how the main references and producers in the industry developed. One moment I will not forget is when I discoved the remarkable Moscatel de Setúbal by José Maria da Fonseca, or even Bastardinho. For many years – and still today – every time a group of close friends got together for a delicious meal, we had the perfect reason to bring out those bottles of Alambre 20 Years to top off our dessert. 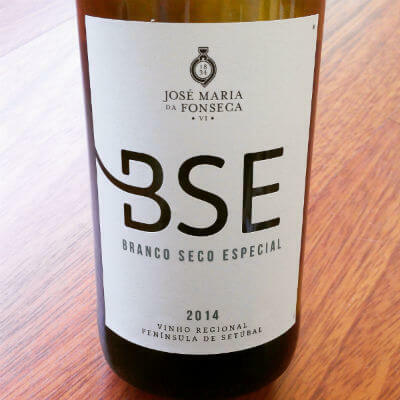 On one of those visits, the latest wine by José Maria da Fonseca had just been released – a Moscatel, which oenologist Domingos Soares Franco had chosen as his model of innovation. He named it Colecção Privada (Private Collection). The product of a 5-year long investigation consisting in experiments with four types of aguardente (Portuguese type of brandy): neutral, Cognac, Armagnac and 50/50 Cognac Armagnac. The Armagnac came out as the favourite, having revealed subtlety, freshness, complexity and harmony during the tasting. 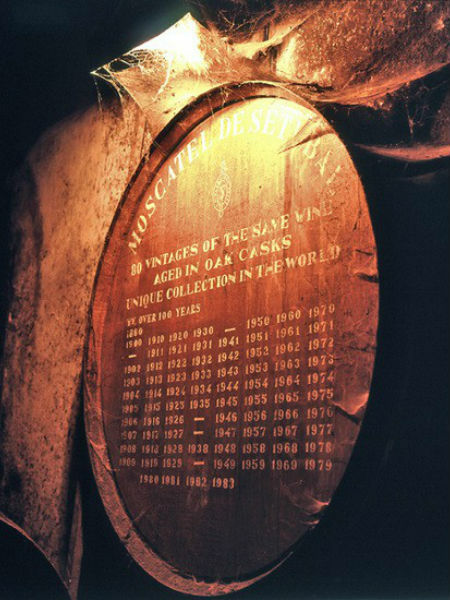 The ageing of this wine is done in used wooden casks and does not age any further in the bottles, because it simply doesn’t develop once bottled. Colecção Privada stands out from the other older wines of superior categories, as it doesn’t have the same gelatinous thick texture; this Armagnac-rich Colecção Privada Domingos Soares Franco 2004 is fresh and delicate, and yet its sweeter side shows. A lot of tangerine, caramel, apricot, lime – an excellently composed taste – elegant and soft thanks to the caramel fruit and orange syrup; the acidity is present until the end. A lasting farewell immersed in a beautiful harmony between scent and palate sensations. For me, a sweet-tooth, it goes exceptionally well with orange pie. Portugal is the only country in the World able to put on the same table three World-class generous wines, from three fantastic and unique regions. 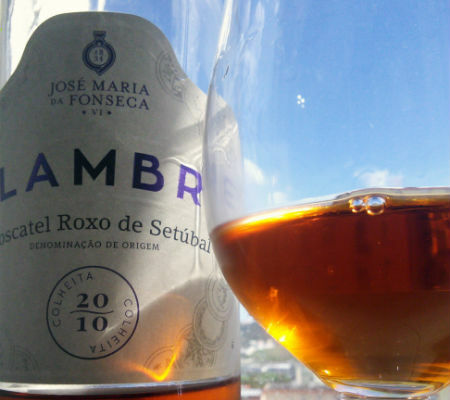 I’m talking about Port Wine, Madeira Wine and of course the Moscatel of Setúbal. In the case of the Moscatel of Setúbal it’s a generous wine with Protected Designation of Origin (PDO) recognized since 1907. 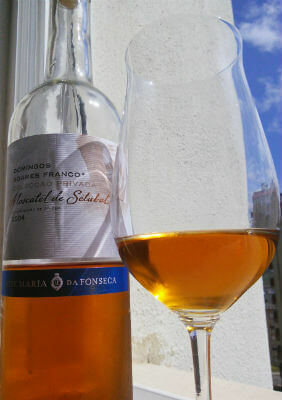 However, at José Maria da Fonseca, the production of these wines dates back to 1834 which allows it to have a unique heritage of Moscatel wines in stock. The Alambre 20 Years are elaborated from the Moscatel grape variety planted in clay-limestone soils. From its annual production part of it is intended for a more prolonged aging in wooden casks using the mythical Cellar of Teares Velhos (Vila Nogueira de Azeitão). The wine in question is a mandatory reference and one of my favorites, having an indisputable place among the best sweet wines of Portugal, with a price around € 24, it gives you an enviable price/satisfaction ratio. The result of a set of great Moscatel, aged and blended with skill, the result is a blend of 19 harvests in which the newest is at least 20 years old and the oldest is close to 80 years. A very complex and intense wine, with elegant notes of dried fruit, candied orange and honey. Noble volatile acidity, wrapped in freshness and harmony. Mouth with great presence, unctuosity side by side with great freshness, soft taste with molasses and fruit and a wonderful finish. It is a perfect match for a good dark chocolate with orange or simply to end a dinner among friends in great class.